Your work boot is great, but it doesn't have the features to protect you on a motorcycle. 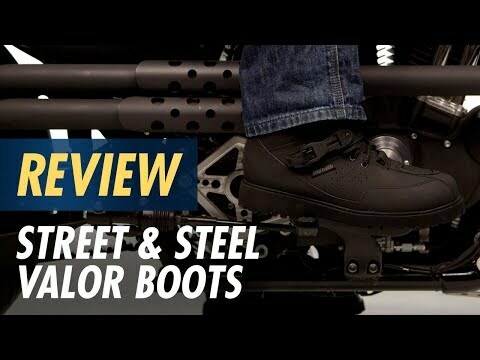 The Street & Steel Valor Boots may look like a set of lug soled boots, but their protective features were made for the ride. Its premium leather upper will hold up season after season. A quick release adjustment strap tames your laces so they don't flap in the wind and risk getting caught. 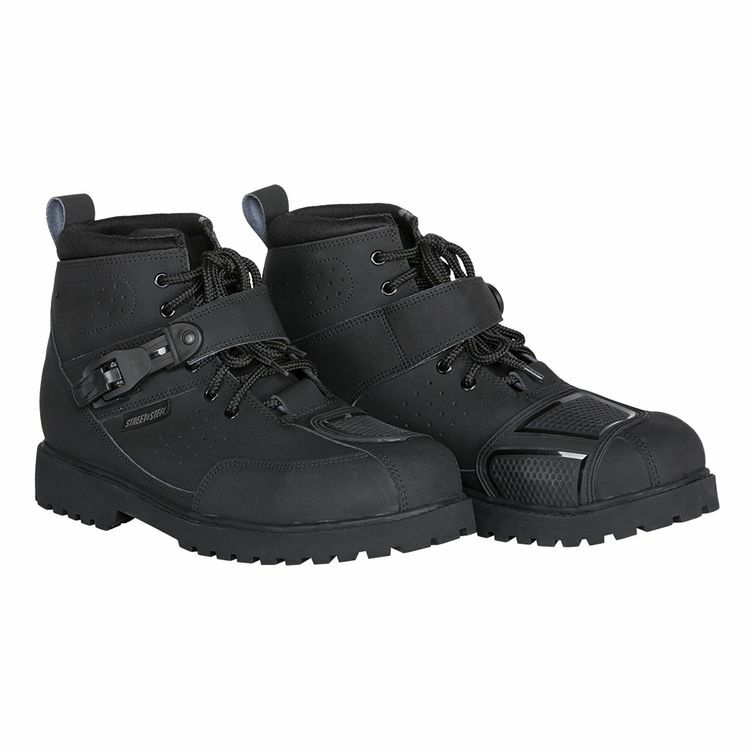 Its stiff sole is reinforced by a steel inner shank to support your entire foot when resting on foot pegs.